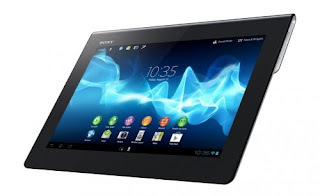 What many might not know: Sony's new Xperia Tablet S is not only chic, but also water resistant - at least in theory, because in practice, Sony has stopped the sale of the 9.4 incher current until further notice, because between screen and Housing a gap has crept in, but that just lets in water. It would be pretty annoying for all newly minted owner of a Sony Xperia Tablet S, the presence of friends and family with the feature "waterproof" would want to specify, and then if one now become known manufacturing defect could cause the device to a tangible water damage (we hope, meanwhile, that happens there is no one) - because between screen and casing of the Xperia S Tablets obviously there is a gap that can occur water. Worldwide, Sony has so far sold about 100,000 copies of the Xperia S Tablet, the company is currently still not believe that the cost of any repairs or rather the cessation of sales will have a significant impact on its financial results. What do you say to production errors and stop the sale - scandal or a mishap that can happen to anyone now? And owners of the Xperia Tablet S are among us? Have you ever experienced problems with water permeability of the tablet?